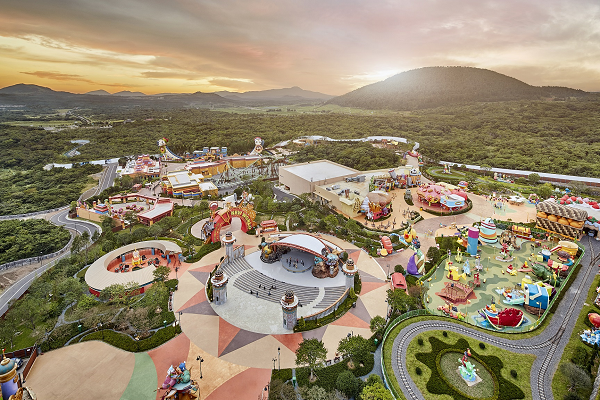 Jeju Shinhwa World has recently announced five community coexistence schemes. The schemes are set to focus on five areas: the revitalization of the local economy, establishing a resident job support center, donation and sponsorship, coexistence with the local community, and environmental conservation of the Jeju island. The Resident Job Support Center will offer various types of training program for different demographics of the population. They say that graduates of this program will be favored in Jeju Shinhwa World recruitment. In terms of coexistence with the local community, they predict that 80% of future manager-level personnel will be local residents. They also aim to assign at least 50% of construction contracts to local companies. The revitalization of the economy comes down to, amongst other things, the expected ripple effect of money brought into the local economy as well as the employment inducement of 152,623 personnel, and the payment of local taxes, amongst others. As well as the above, they announced a KRW 10 billion contribution via the Jeju Development Fund. Much of Shinhwa World is now up and running including the Somerset Jeju Shinhwa World and Jeju Shinhwa World Landing Resort, Shinhwa Theme Park, Landing Convention Center and MICE facilities, Asian food street, YG Republic, and the downtown duty-free shop operated by the Jeju Tourism Organization.